There are 180 types of honeysuckle plants worldwide, but only about 20 in North America. Known for fragrant, trumpet-shaped flowers, many honeysuckles are grown to attract both butterflies and hummingbirds. They may be lovely, but some can become invasive. Read on to select a honeysuckle that will attract wildlife without becoming a problem. When choosing a vine honeysuckle, avoid L. Japonica, also known as Japanese honeysuckle, which may take over your garden as well as the surrounding landscape. Never plant any vine honeysuckles close to a valued tree or shrub. These vines climb so tightly that they may strangle the supporting plant, a habit that gives honeysuckle its other common name: woodbine. There are five types of honeysuckle bush common to North America: Tartarian, Standish, Amur, Pretty and Morrow's. Each of these varieties is considered invasive, and prohibited in many regions. Bush honeysuckles grow six to ten feet tall and form a dense thicket of vegetation that chokes out other species. Replace these bushes with red chokecherry, serviceberry, or viburnum to enjoy a flowering shrub that will not harm the rest of your garden. The bright red berries that grow on many types of honeysuckle brighten your garden and are an attractive food source for birds, but even these cheery red fruits can prove problematic. 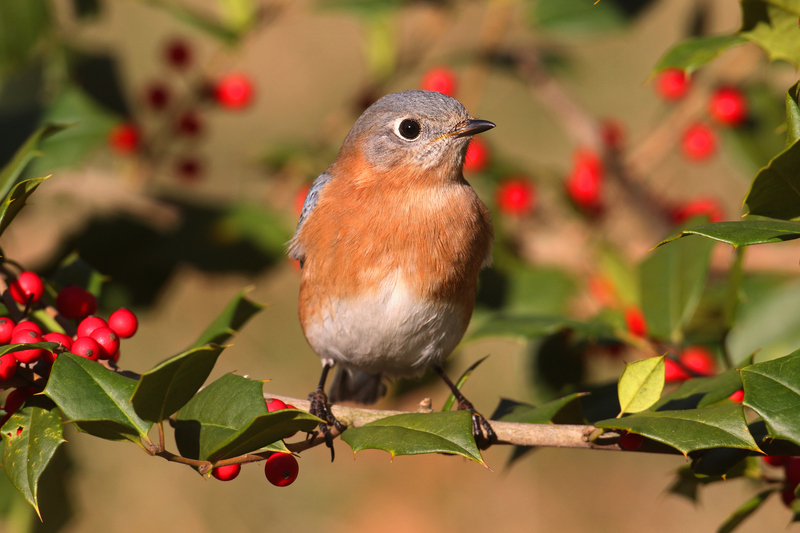 Berry-eating birds require fat from the fruit and seeds they eat. Honeysuckle berries are higher in sugar than many native berries, and may come to make up much of the birds' diet. The seeds, dispersed in the bird's droppings, will germinate elsewhere and out-compete the more nutritious natural vegetation. Winter honeysuckle can extend the growing season well into the colder months. Its fragrant, early spring blossoms and persistent autumn foliage add a burst of color to an otherwise drab off-season garden. Not as aggressive as its bushier cousins, winter honeysuckle can still become a problem in some regions, particularly the Middle Atlantic states. Check with your State Department of Natural Resources or local university extension office to see if this honeysuckle is a safe choice for your area. Box honeysuckle is distinctly different from other members of the family. Its blooms are inconspicuous and only mildly scented, and its growth pattern is considerably more restrained than that of other honeysuckles. Landscapers use this honeysuckle bush as a hardy and quick-growing alternative to boxwood, shown here, for creating elaborate hedges and topiary designs. Recently, a Siberian species of honeysuckle has gained popularity for its edible berries. L. caerulea has not shown invasive tendencies and can be a pleasant and nonthreatening addition to your flowerbed or kitchen garden. Often marketed as honeyberries, these honeysuckles are hardy to zone two and bear an abundance of fruit in early June, even in northern latitudes. As an alternative to potentially invasive exotic honeysuckles, consider planting a native species like this L. Hispidula or an L. flava. Somewhat less showy than imported honeysuckles, many native species are equally fragrant and are friendly to the natural landscape. They require a minimum of care and will produce blooms reliably over the course of the summer. Whether you want a plant to produce berries, brighten your garden in the winter or attract wildlife, a honeysuckle might be a good choice. Just choose a variety that is harmless as well as beautiful, and you can enjoy this perfumed showpiece worry-free.